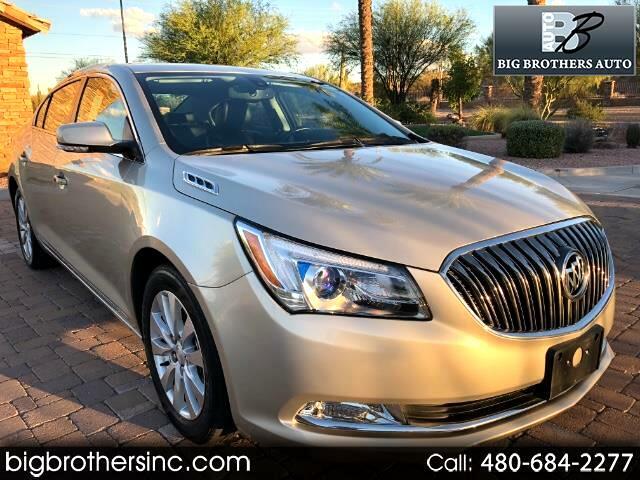 2015 Buick Lacrosse 4 cylinder Hybrid W/Leather package ! Clean Title ! Low Miles ! If your looking for a exceptionally clean Buick Lacrosse at a very low price, then you have found it in this vehicle. Some of the convenient options include: Heated leather seating, Navigation, back up camera, back up sensors, Automatic transmission, cruise control, auto start/stop feature, auto up and down windows, auto locks, push button start, auto dimming rear view mirror and much more! We have also installed 4 new tires on this car and put this and every one of our vehicles through an extensive inspection process, to ensure you will have worry free driving after your purchase. This car does have a theft history on the carfax, but it is a clean title with the existing manufacture warranty in force. If you would like to set up an appointment with us to see and test drive this vehicle, please contact John on his direct line at 602-684-0202.